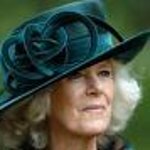 The Duchess of Cornwall, Camilla Parker Bowles, yesterday donated her own books to Oxfam in support of the charity’s nationwide Book Donation Drive. During a visit to the Hay Festival Camilla visited the Oxfam bookshop and donated a children’s book called Dog Loves Books which she had signed. She also donated two books written by her son Tom Parker Bowles – one of which was signed by the author himself. The Book Donation Drive has an ambitious target of attracting an extra 330,000 book donations over a three-week appeal period, which could raise over £750,000 for Oxfam’s life-changing work around the world. Last year’s donation drive resulted in donations of 300,000 extra books, and Oxfam is hoping to go 30% better this year. The sale of just one book donated to Oxfam is enough to pay for 18 bars of soap to prevent disease during a disaster; and the sale of three books could provide ten days’ worth of basic food rations for a family in an emergency situation. As part of the nationwide Donation Drive, Hay festival-goers are being asked to fill an entire 20ft container with their unwanted books, and have already donated more than 11,000 books to the appeal. The Drive, which ends this weekend, is being run in preparation for Oxfam Bookfest which starts on 2 July and is the UK’s biggest books festival. 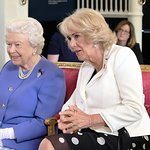 Camilla’s donation consisted of: Dog Loves Books by Louise Yates, and E is for Eating and The Year of Eating Dangerously both by Tom Parker Bowles.